“When I wrote Goodnight Mister Tom I knew a lot more about William’s mother than I revealed in the book. I didn’t write more about her because it was Tom Oakley and Willie Beech’s story. Some years after it was published, I was working on the musical with the composer Gary Carpenter and I felt that I needed to write the lyrics for two songs to show not only how disturbed and frightened she was but also to reveal her broken childhood and what led her to commit suicide. Meanwhile, as the musical was being performed there was talk of a TV adaptation and I was introduced to the screenwriter Brian Finch. After it was given the go ahead I brought up the subject of Mrs Beech. I knew he would need to write scenes for her and I didn’t want her portrayed as evil even though her actions were abusive. And I told him about the songs. ‘Send them to me,’ he said. 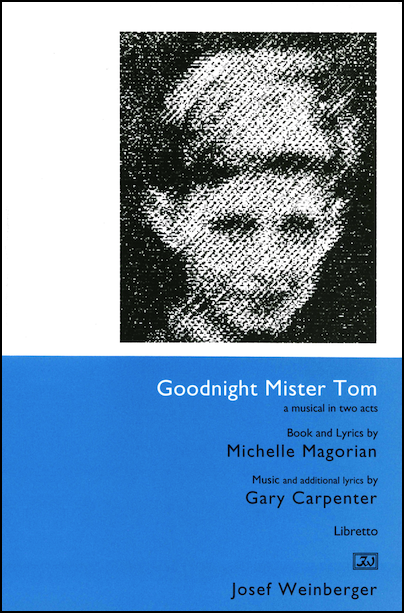 In schools I have heard that some teachers only read extracts from Goodnight Mister Tom because the scenes with William and his mother are too upsetting. To be honest I have always felt that the story is more suitable for secondary school children but I also understand that a teacher knows her/his pupils and students better than I do and is in a much better position to decide whether to read the book to them or not. Lately however, I have received letters from children who are upset by Mrs Beech’s behaviour and don’t understand why she is so cruel. To help explain her state of mind I have on some occasions sent their teacher a copy of the libretto so that she/he can decide whether to share the lyrics with their class or not. Hi, my names Pierson and I am in the same position as Gina (kind of). I am in Grade 8 and i have to write a diary entry as one of the characters in the book to another character and i choose Mrs Beech writing to Mr Tom. Also it has to have a time of writing so i choose nearly just before Willie’s first birthday in the country. I was hoping really badly that you can help me out. Also i do love the book, it’s so good. As you can probably realise, Michelle is very busy and can’t answer emails from her website. We’re so glad you’ve enjoyed Goodnight Mister Tom and hope you were successful with your assignment. I am a Year 6 primary school teacher and LOVE using your novel ‘Goodnight Mister Tom’ to discuss issues around evacuation. We tend to focus primarily on the characters of Tom Oakley and Willie Beech. This year the children are going to be writing diary entries from both characters point of view. Is there anywhere we could send or upload their diaries as it would really spur them on if they were writing for you?